Just few weeks after the lauch of the Blu Vivo XL3, the company has just launched yet another entry level smartphone called the BLU Vivo One Plus. 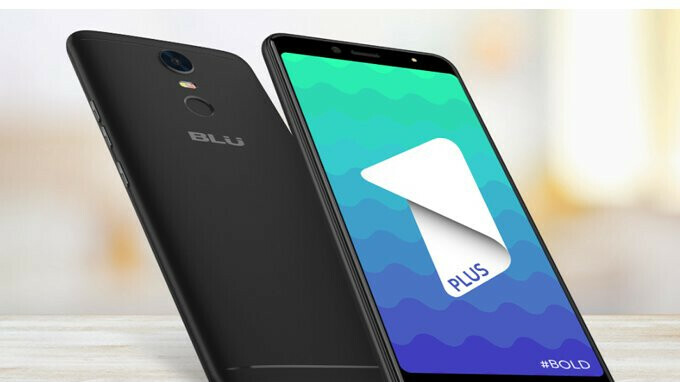 The device is a more upgraded version of the BLU Vivo One which was launched back then in February 2018. The BLU Vivo One Plus sports a 6-inch HD+ display with a resolution of 720 X 1440 pixels, this is a bit larger than the 5.5-inch display on the previous ViVo one. The device also comes with a 13MP front facing camera as well as a 13mp rear facing camera. The device is powered by a Mediatek MT6739 quad core processor with a clock speed of 1.3GHz. It also comes with a 2GB RAM as well as a 16GB internal storage coupled with a pretty large 4000mAh battery. The Vivo One Plus sports a front mounted fingerprint reader and dual SIM support which is fully compatible with GSM carriers in the United States like MetroPCs, AT&T and T-Mobile. Even though pictures and specs of the device is already available on BLU's official website, the price and date of release hasn't been announced yet.